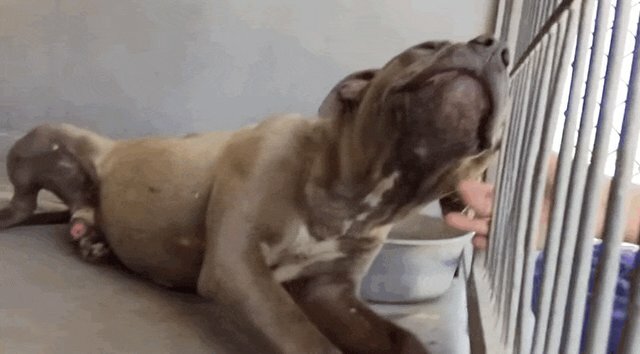 This heartwarming video is even more proof that all dogs really want is a chance to be loved. Cruz, a large pit bull, was marked as "aggressive" when he first showed up at a city shelter in San Bernadino, California, this past July. 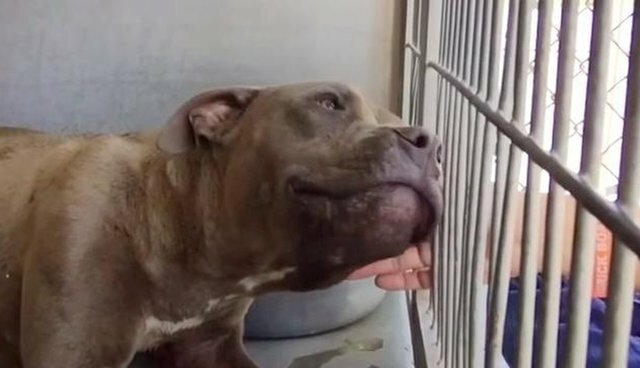 When Maria Sanchez, a shelter volunteer, went to see him, Cruz was cowering in his concrete kennel, whimpering with loneliness. But Sanchez knelt down next to Cruz, and began talking to him in a calm, reassuring voice. Soon, he was edging closer and closer to her until, finally, she could reach out and pet him. It was like a switch had been flipped - once Cruz got a taste of a loving touch, it was all he wanted. 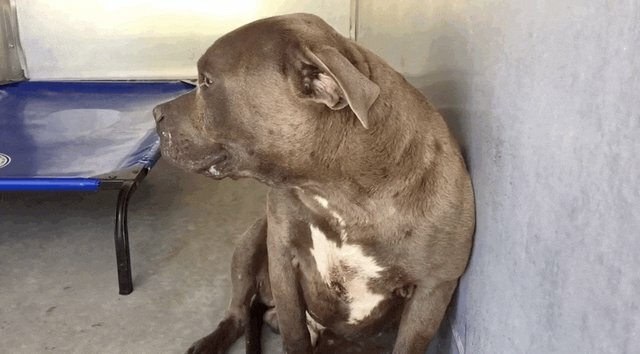 This pit bull, initially labeled as "aggressive," was now pressed up against the bars of his cage so he could get more lovin' from Sanchez. 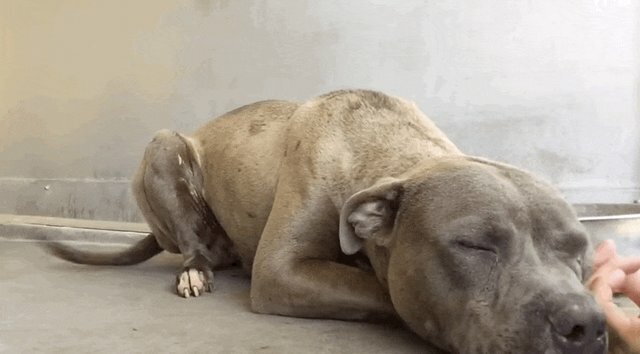 This heartwarming video proves that a little care and compassion can go a long, long way for a shelter dog. Best of all, Cruz's story has a happy ending! Maria Sanchez posted an update on Facebook announcing Cruz has been adopted.